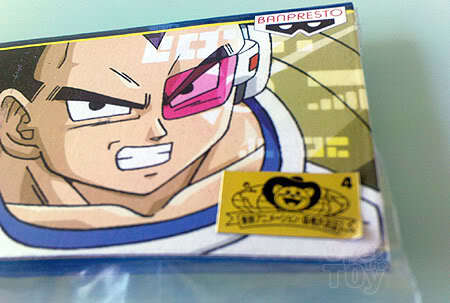 Like many, I was nut about Scouter and in one of my trip, I jumped on the moment I saw this Scouter stationary from Banpresto! I think these toys or stationary are meant for prizes in some machines in Japan. 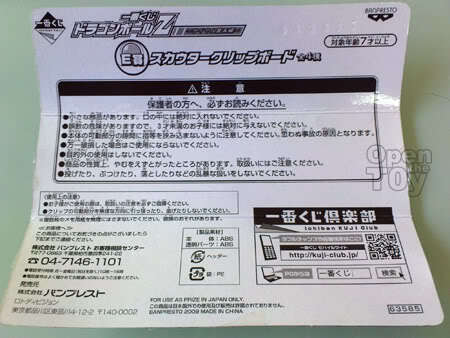 To verify if it is original from Banpresto, just look for the golden stickers (that what I was told). There are 4 design in this series. 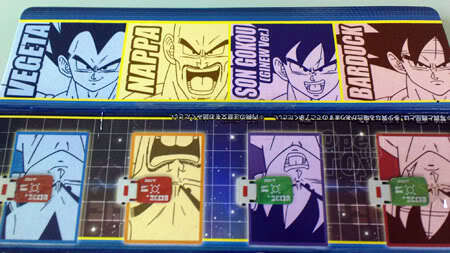 Bardock (Goku's father), Goku(when Ginyu taken over his body), Nappa and Vegeta. 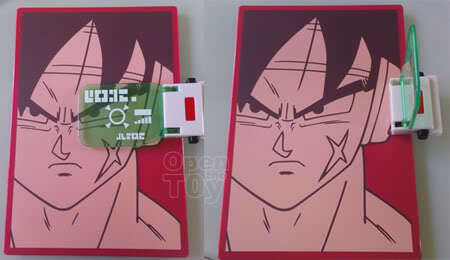 As I only want to buy one, I chose Bardock aka Barduck. 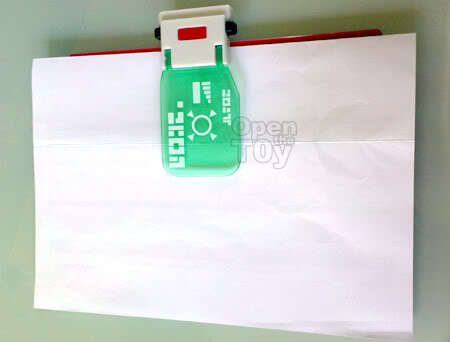 At the back of the cover come with some writing with serial number imprinted on it. 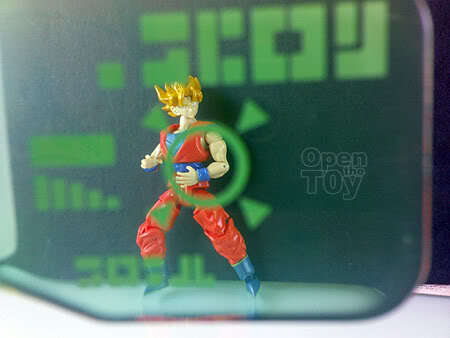 This toy is for age 7 and up. Here is what it can do for being a stationary. Can guess what it is so far? It is a clip board! Surprise surprise. But I bought this not to be use as clip board but for this. It is more fun this way, do you agree? 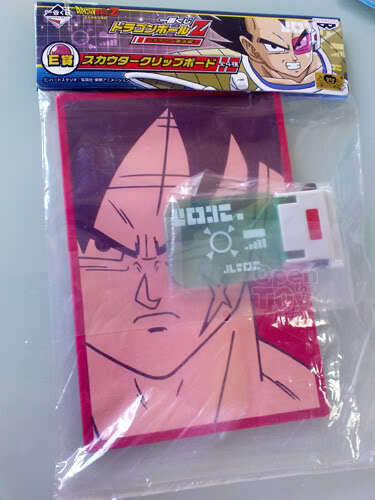 Yes I bought this just for the scouter to be play this way. Something is "wrong" with me? 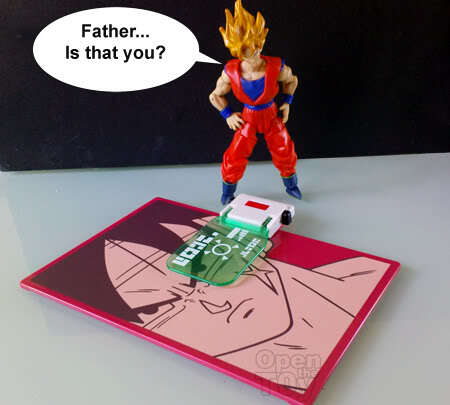 Updates: I finally get my Scouter toy! That is a really clever design. Very cool! I'm curious, how do you manage to find all this zany stuff? Thank you bro. Glad you like it. 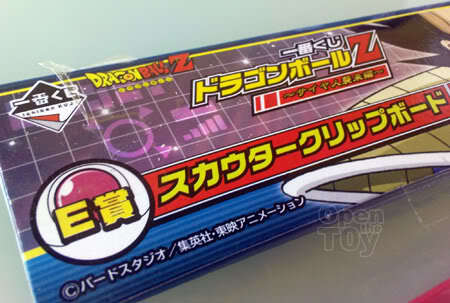 Banpresto always produce toys that are fun and not-so-expensive. This is both fun and useful. Great buy!